A Heritage of Scotland tartan mini-kilt, light and comfy, perfect worn as a skirt. 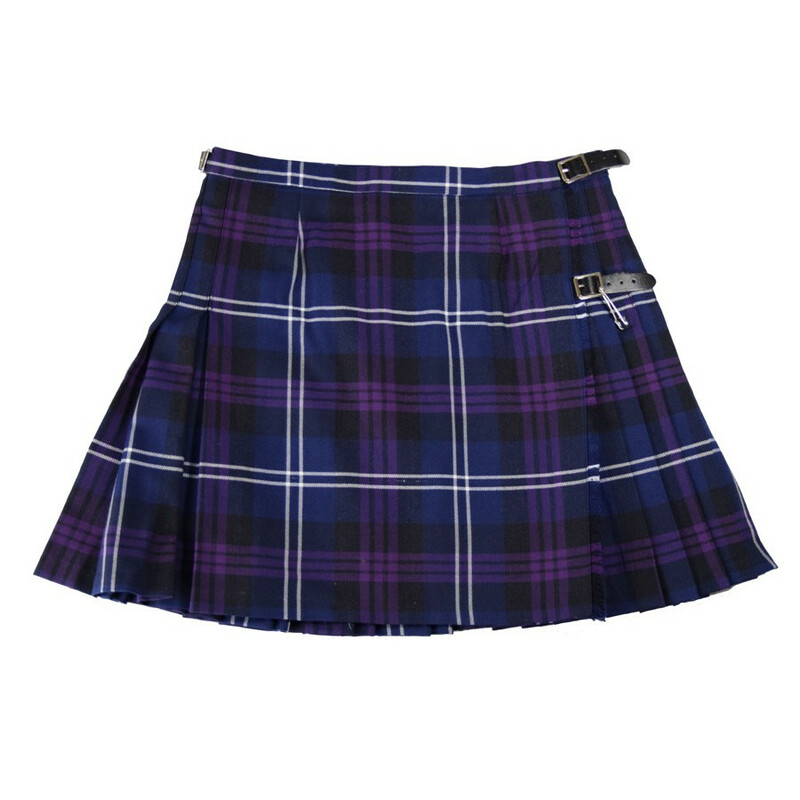 This Heritage of Scotland tartan mini-kilt fastens with two metal buckles. Comfy and light, this versatile poly-viscose kilt is perfect worn as a skirt or part of a costume. Heritage of Scotland is a famous tartan composed of blue and violet stripes adorned with black and white borders. 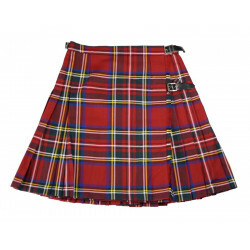 This is one of the most iconic Scottish tartans, proudly worn for sports competitions or as the Scottish dance costume.